Kentro Erevnon Panepistimiou Pireos (University of Piraeus Research Centre, or UPRC) is the Research Centre of the University of Piraeus, in Greece. Located within the Athens urban area, the centre provides technological support to basic and applied research. 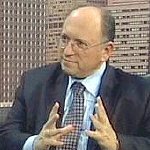 Joseph Hassid has been Professor of Industrial Economics at the University of Piraeus (1988–2013), Chairman of its Economics Department and Director of the University’s Innovation and Entrepreneurship Unit. He holds a Ph.D in Economics from the University of Manchester (UK), specialised in Industrial Economics, Small Firms economics, Labour Economics and European Affairs. He has more than 35 years expertise in Greece, other EU countries and Eastern Europe. He actively participates (teaching/research/consulting) in entrepreneurship education and in matters related to vocational training and life-long learning. He has coordinated and/or participated in National and EC funded projects on enterprises’ competitiveness, human resources management and development, entrepreneurship development, financial literacy programmes, creative industries’ promotion and regional administration’s innovation and entrepreneurship Development. As Senior Researcher at the University of Piraeus Research Centre, he coordinates the Greek Research Team of the CINet project and develops plans for the project’s results dissemination and valorisation in Greece and other countries. 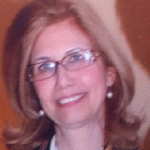 Victoria Pekka Economou is the Scientific Director of the CINET project at UPRC. Professor at the University of Piraeus at the Department of Business Administration, Greece. She mainly teaches Industrial Economics, Microeconomics, Entrepreneurship and Managerial Economics. She has also taught Macroeconomics and Economic Analysis and Gender Equality in the Business World. She is responsible of the University’s of Piraeus participation in the Erasmus-Socrates program incoming students from European countries. Dr. Pekka Economou holds a Ph.D. from the University of Macedonia, in Thessaloniki, Greece, and a Master’s Degree in Economics from the Victoria University of Manchester, UK. A number of about 50 scientific articles have been published in Greek and international journals, academic issues and conferences proceedings. She has served as a member of research teams in several European research projects. Some of her work has been published in Investment Research & Analysis Journal, European Journal of Economic, Finance and Administrative Sciences, Investment Research & Analysis Journal, International Journal of Economic Research, International Journal of Applied Systemic Studies, International Advances of Economic Research, and Journal of Strategy and Management, among others.